I'm sure your mind must have drifted so many times on Edsa, C5 and looked up those huge billboards to see the Globaltronics brand somewhere and perhaps know how much they've been a huge part of the advertising and digital tech industry over the years. They've been doing headway in Electronic LED displays, ad placements, partnered with local and international companies to get a grip of a huge market share in the Philippines and elsewhere in the world. We were invited over dinner for a thanksgiving session for the press and their corporate partners a few weeks ago so we got to know a couple of updates with the company itself- and their partner agencies that's undergoing changes and preparing a whole lot of events this coming 2018. One of their partners JUMP Digital has already been growing their portfolio and has come in the most opportune time as they are gearing for more this coming year. 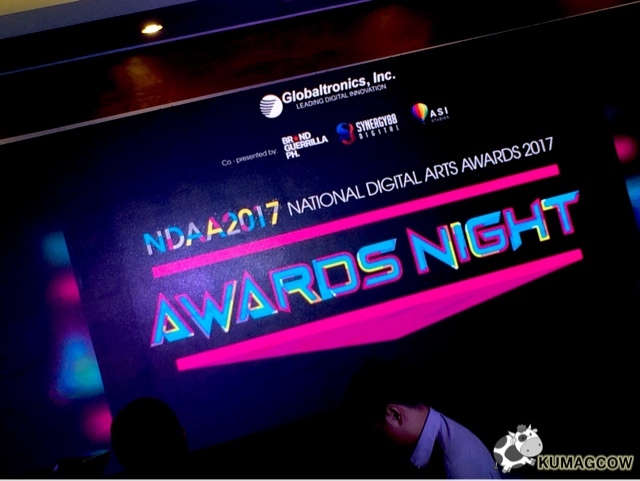 Jed Marcaida the Jump Digital Founder and Chariman remarked "So for the 2018 Digital Arts Awards, we want to be more inclusive so we are introducing more categories. 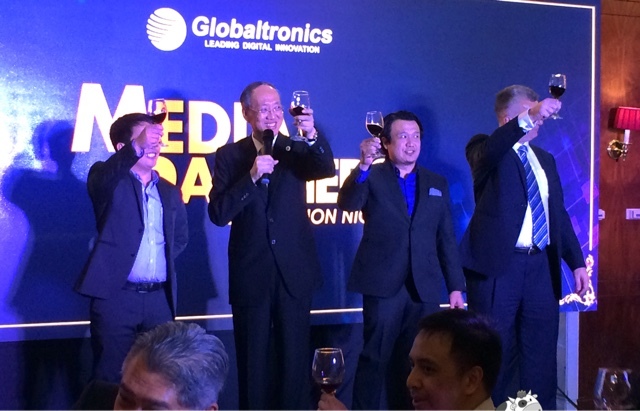 Globaltronics is bringing forth the Filipino talent and showcase it to the ASEAN region. We will go beyond our borders and will be ASEAN ready. The most wanted speakers, bigger prizes and global possibilities will all be there on NDAA 2018. We are excited and we hope you will be there." 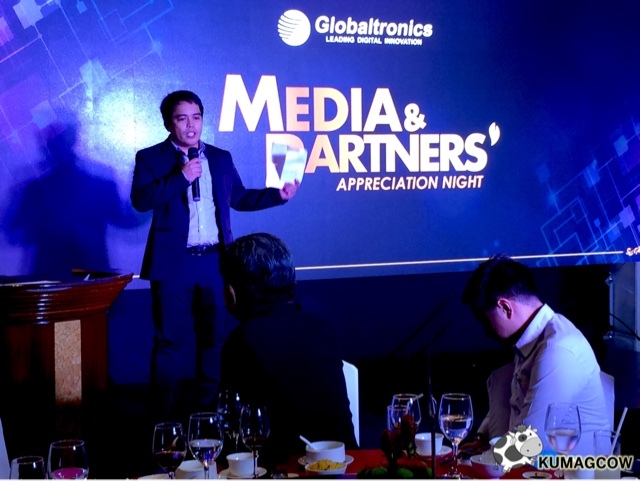 Jasper Evangelista CEO of Globaltronics says "Thank you for staying with us for the night, I'm really confident that we will have that drive to surpass the next projects, the technologies, our partners, this is just the start. Expect more to come, we will never park our laurels and there will be changes so we could be a player in the global scene. We would need your support to get us there. We are also unveiling the new Globaltronics logo to show we are tech savvy, we are leaders. It's still a globe, the three stripes represent our 3 core values. It's on 25 degrees because it's like a giant aircraft, we plan to progress as a bigger and global Globaltronics and we hope to sit down with you so we could provide more solutions for you." The affair was also witnessed by Globaltronics Chairman and CEO William Guido. So aside from the new look and logo, they also awarded top contributors and most loyal clients for 2017. 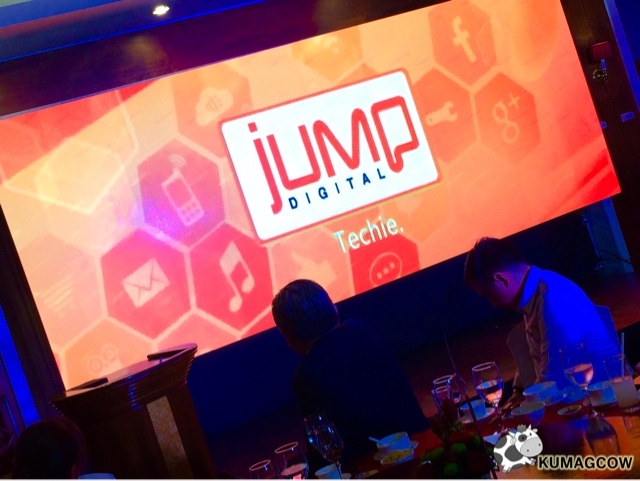 Now that they've also partnered with JUMP Digital, they'll have PR and Digital requirements now as part of their folios and it would be easier for them to actually provide 360 degree services here and around the region which they regard as the next step. 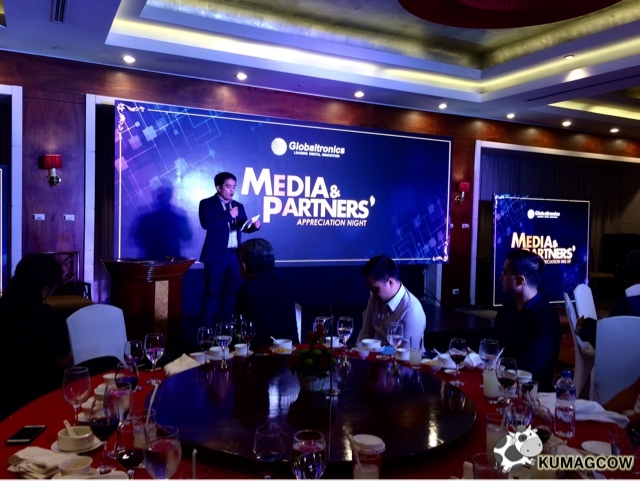 Among Globaltronics clientele who received accolades that evening include Doublr Dragon Properties, PSE, Honda, Pra, Starcom Mediavest Group, Megaworld Corporation, SM Mart Inc., BMPI, Adidas, PLDT, Havas Media Ortega, Posterscope Philippines, DLSU College of St. Benilde and A. Magsaysay Inc. While JUMP Digital services their clients Alaska, Nutriasia, Tanduay, ACS, Hyundai, Metro Pacific Corporation, Vista Land, Green Cross Alcohol, Asia Brewery, Pascual Laboratories, Healthy Options and a lot more. The future looks bright for Globaltronics and JUMP Digital. I can't wait for their huge plans to materialize in the coming years, to hopefully make their offerings a one stop shop and perhaps make the ease of doing business in the Philippines and the rest of the ASEAN regions they are present in easy. Congratulations! 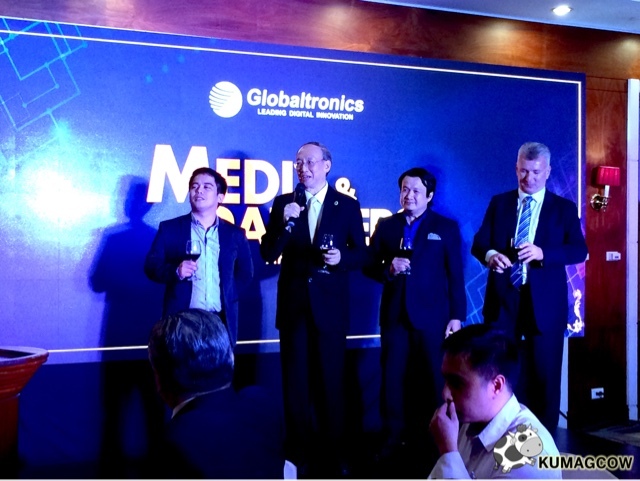 To know more about them, please visit their official websites http://www.globaltronics.net/ and http://jumpdigital.ph/.